Add to the pleasure of your Casino Party guests with this wonderful gift. 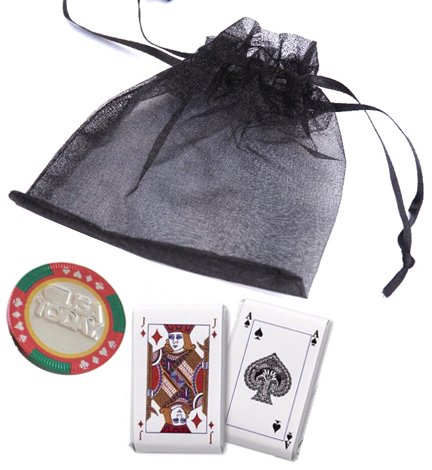 A pretty 3” x 4” Organza bag holds 1 custom chocolate casino chip and 2 chocolate playing cards. Have the chips customized on one side, with $$ dominations on the other. Give us a call if you are interested in customization on both sides.